An exhibition to commemorate the 100th anniversary of the Anzac landings at Gallipoli featuring digital printmaking, video and painting. 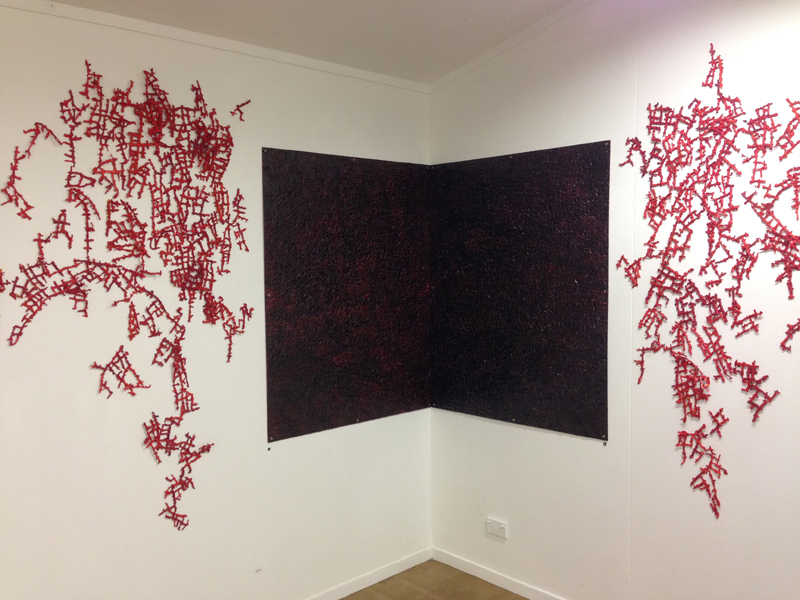 John Robinson came to Wharepuke here in Kerikeri in the Bay of Islands in December to do a nontoxic printmaking residency with Mark Graver in December 2014. John has worked for 9 years as the Technical Officer in Printmaking at the University of Tasmania, Tasmanian College of the Arts, Hobart. He has taught with TAFE, Adult Ed, and community based printmaking groups, has over 20 years’ experience in commercial printing and recently established Moving Creature studio, an open access printmaking studio in Lindisfarne, a suburb on the Eastern shore of Hobart. John has been gradually instigating changes within the University Printmaking studio towards non-toxic processes and gained a scholarship to study at Wharepuke with Mark to hone some of the acrylic based methods available. John and his wife Pauline managed a weekend away camping after the course and explored the Cape Reinga region (the top of NZ), beaches and our native forests. Since returning to Hobart John has been further experimenting and preparing for a new academic year where the students will be further introduced to nontoxic printmaking. Mark and John are now discussing future projects and further possible links that can be made between Wharepuke, the University of Tasmania and Moving Creature studio. Undertow is a linked series of HD videos, shot from under water looking up towards the sky during rainfall, and photopolymer metal salt etchings. The concern is to capture the effects of light, shadow and sound at a particular place and point in time. There is no editing other than changing the speed and setting the duration. The photopolymer etchings are isolated video stills, manipulated in Photoshop then etched into aluminium plates. The intention is to create a fluid installation using elements of the different mediums to explore connections, similarities and differences between the moving, temporal and the still images and between photographic and traditional printmaking processes. The series was first shown in the exhibition ‘Combinations’ curated by Mark at the Centre for Contemporary Printmaking, Seacourt, Bangor, Northern Ireland in 2014. Mark Graver is an award winning artist printmaker, founder of the Wharepuke Print Studio and co-director of Art at Wharepuke. He is author of the A&C Black printmaking handbook, ‘Non-Toxic Printmaking’ (2011, London) and his work is held in many public collections around the world including the V&A Museum, London, The Ashmolean Museum, Oxford UK, the National Gallery of Taiwan and in China, Mexico, Portugal, Malaysia and NZ. Undertow series 2014 from Mark Graver on Vimeo. Mark Graver will present an artists talk at the opening 1.00pm Saturday 24th January followed by opening reception 1.30 to 3.00pm. Taken from a quote by Horace, ‘Pulvis et umbra sumus’ (we are but dust and shadow) Umbra Sumus is an ongoing project containing photopolymer and acrylic resist etchings, video and sound works. The work is partly a response to the death, in January 2011, of my father and to the wider human condition. The use of shadows alludes to the movement of light, the passing of time and, ultimately, to mortality. 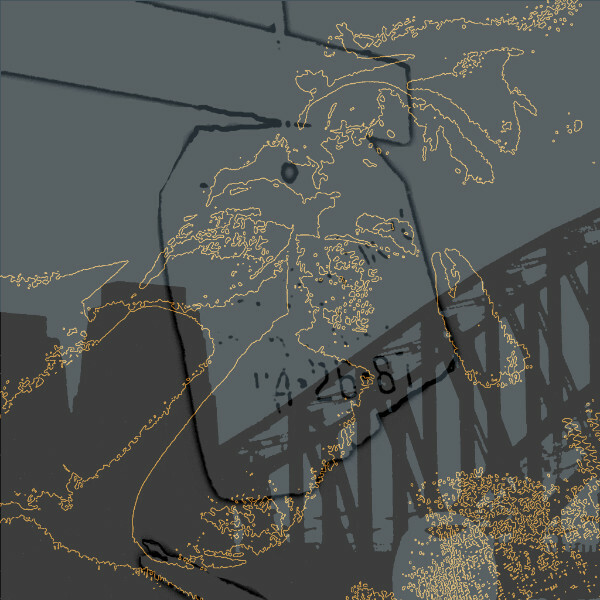 Still images are used for the etchings while the video works allow for an actual temporal experience using the same or similar source material. Irena Keckes is an artist and arts educator, currently based in Auckland, New Zealand. She was born in Croatia, where she gained BA in Art Education and Printmaking at the Academy of Fine Arts, University of Zagreb (2000). Irena earned Masters of Fine Arts in Printmaking from Tokyo University of the Arts (2005). Currently, she is completing PhD with Creative Practice at Elam School of Fine Arts, University of Auckland (2011- present). As part of her doctoral research project integrating theory and practice, Irena Keckes has created large-scale woodcut prints, and researched the links among ecologically informed Buddhism, and non-toxic and expanded forms of print. 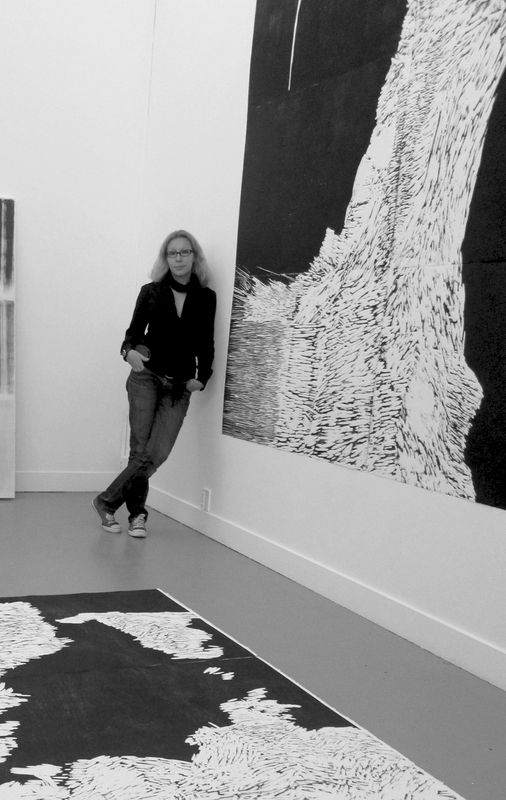 Her artwork has been exhibited internationally at eighteen independent, and numerous group exhibitions; these included the Tallinn Triennial of Drawing (2012), Kyoto Art Festival (2012, 2014) and International Mokuhanga Exhibition at Tokyo University of the Arts (2014). 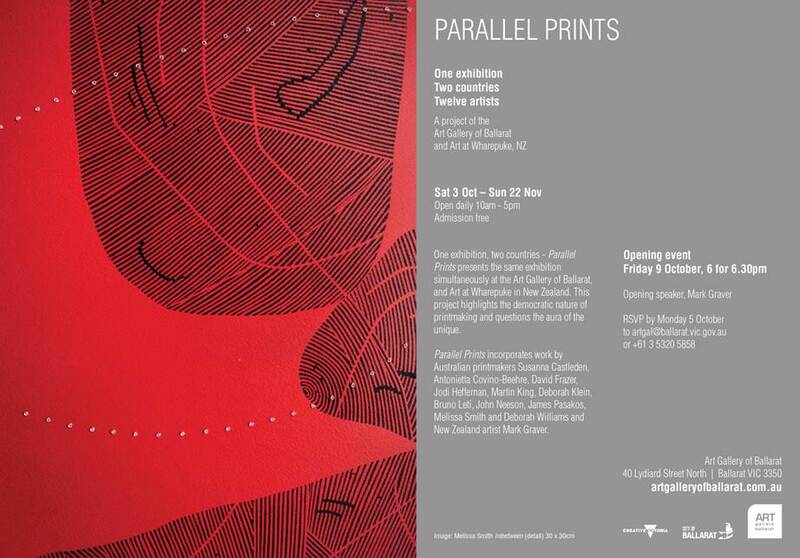 She has been an artist in residence in Japan (2000) and Korea (2005), and an active member of several art associations including Croatian Association of Artists (since 2001) and Print Council of Aotearoa New Zealand (since 2014). Irena Keckes presented an academic poster and portfolio at the Impact 8 International Printmaking Conference in Dundee (2013) and an academic paper at the 2nd International Mokuhanga Conference in Tokyo (2014). As a Graduate Teaching Assistant at Elam School of Fine Arts, University of Auckland, Irena Keckes has been teaching Printmaking and Drawing academic projects to undergraduate students, since 2011. My art has been informed by a strong desire to work in the media of print in particular within the field of contemporary, ecologically responsive printmaking. Over the past twelve years I have lived and worked in diverse scholastic, artistic and intellectual environments. Moving through the myriad of cultural worlds made an impact on my practice. My recent research has been exploring if and how some of central Buddhist notions, such as interconnectedness or causality, may inform ecologically mindful printmaking. The interest in this topic and approach to print practice grew from my previous training in traditional Japanese water-based woodcut that originally involves non-toxic methodologies. Taking mokuhanga (Japanese woodcut) as a starting point, merging apparently disparate theories, philosophies, methodologies and processes, one of the main sequels of my work has been to represent one example of expanded printmaking. In some instances I have extended my practice by detaching print off the walls and moving into the space, and in others I exhibited carved plates and wooden shavings as sculptural objects alongside the prints. I have shifted the main focus away from controlling the final outlook of the print to the processes of making itself. Expanding the scale of my plates also created a platform for a more intense exploration of the phenomenological aspects of my work, reconciling intellectual and physical actions of printmaking processes. Through an idea that making is thinking, and thinking is making, my work also has been investigating art/craft as an indivisible concept, as evident in three of my independent presentations in 2012, 2013 and 2014. Woodcut print installation the Unlimited Resonance of Repetition (2012), consisted of ten three meters long woodcut prints suspended from the ceiling. These large prints were created in Japanese water-based woodblock printmaking method, and explored the notion of repetition embodied in the process or carving as well as in printing. Some of the wooden matrices were installed on the floor of the gallery in juxtaposition with prints. The Presence of Absence installation (2013) consisted of carved wooden plates and wooden shaves arranged on the walls and floors of the gallery. By creating a “carpet” of wooden chips the works in this show unveiled the idea of impermanence: the wooden shaves were once the plates. In my doctoral exhibition, Mindful Repetitions (2014), I presented 14.5 meters long print that surrounded the space of the gallery. 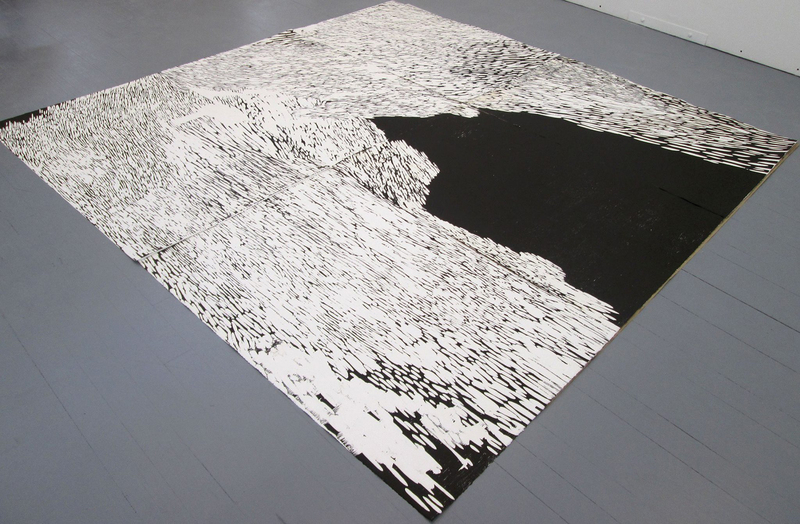 As part of this installation, the 240x480cm large print was installed on the floor of the gallery. 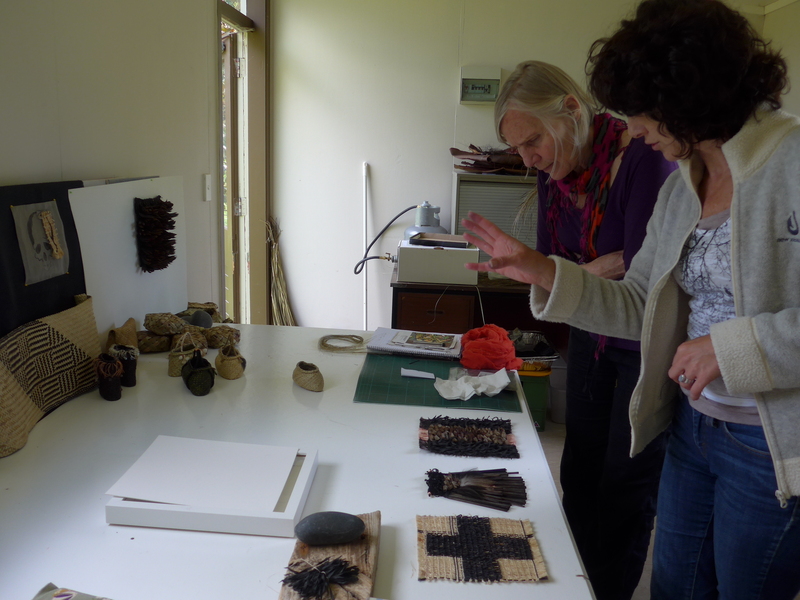 Michelle Mayn is part way through a 3 month Artist in Residence program here at Wharepuke in Kerikeri NZ . Michelle is a New Zealand fibre artist using both natural and modern fibres. Michelle Mayn uses traditional Maori weaving techniques often mixing materials to produce new and exciting textures and colour combinations on modern bags or highlights on more traditional kete (basketry). In her latest works the subtle hues and textures of plant fibres such as tree fern, Kapok, rush and lichen are highlighted in a simple little rourou(food container) made of Harakeke/New Zealand Flax from fibres harvested here at Wharepuke. 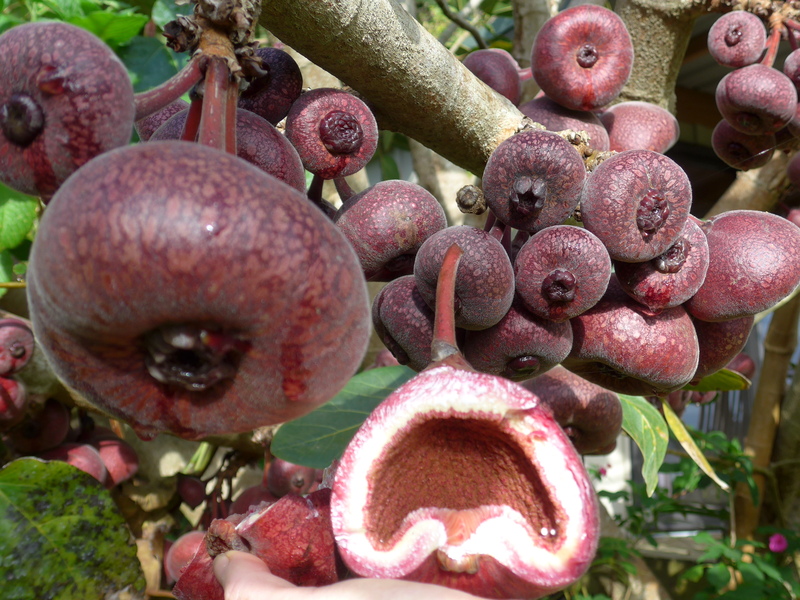 The Strawberry Fig from New Guinea is next to Cottage 4 here at Wharepuke in Kerikeri. It is fruiting abundantly this year. 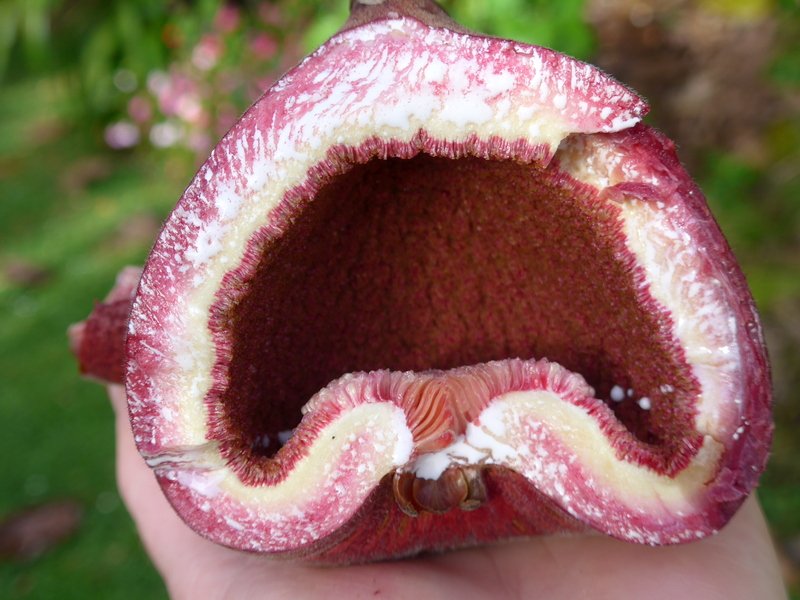 Unfortunately not edible her in NZ as we don’t have the particular wasp with the right particular shaped “bit” needed for pollination but next time you are in New Guinea try one as they are meant to be delicious! 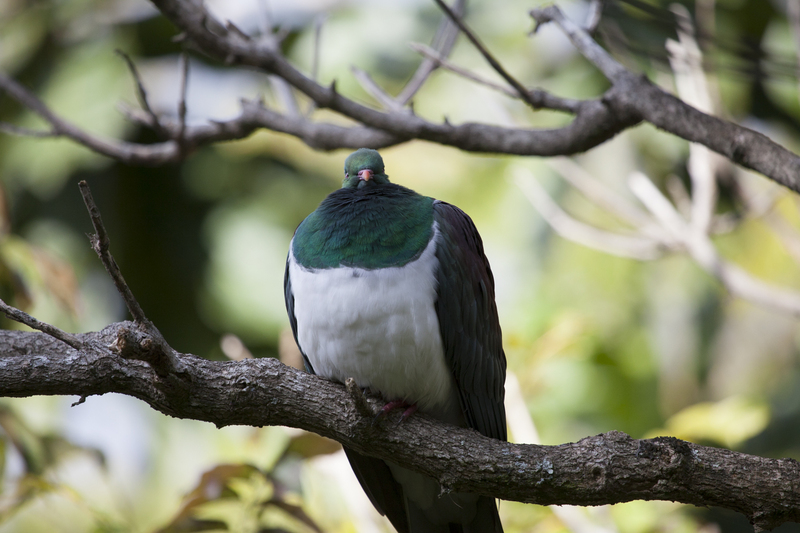 They are very passive and many times you might walk underneath one here at the gardens and not realise it. 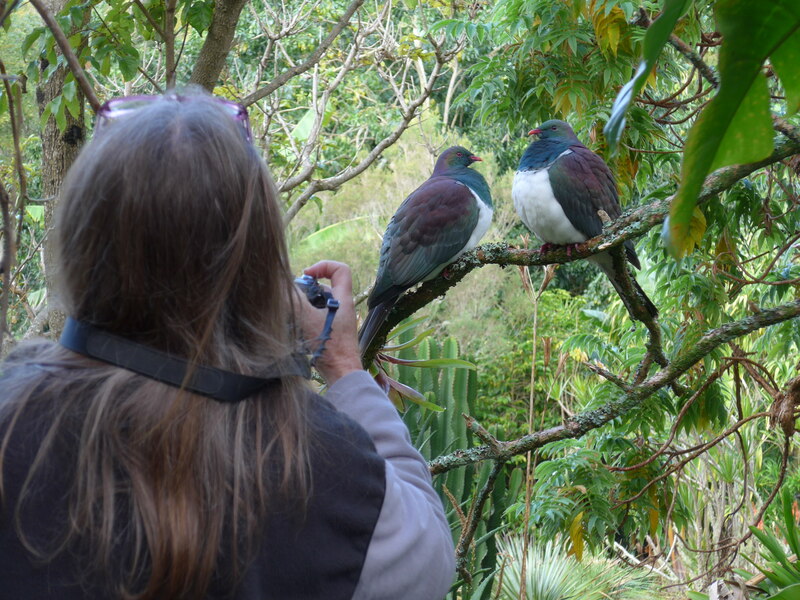 This is a photo of my mother photographing the NZ Woodpigeon in the garden near our Cottages. The photo she took is……. 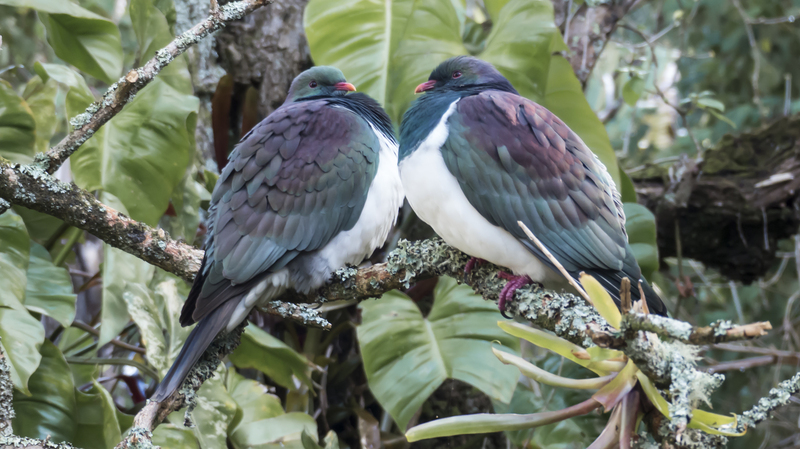 Following on the Birds at Wharepuke theme my mother took these beautiful photos here yesterday. 2 great photos of fantails! Anyone who has tried to take photos of fantails will know that they won’t stay still and you end up with lots of photos of blurry bits of feather disappearing off the edge. The Tui , a NZ Honeyeater, has 2 voice boxes and produce extraordinary song. Many notes are beyond what the human ear can hear.